Having a little assistance when climbing out of bed may be all that is required for some users to hold onto their independence. The Invacare Swivel Support Handle is ideal, as it is unobtrusive and tucks neatly out of the way when not required, and is ready to offer a helping hand during the transfer process. While most support handles permanently protrude off profiling beds, this handle neatly tucks away to stay out of the way when not needed. 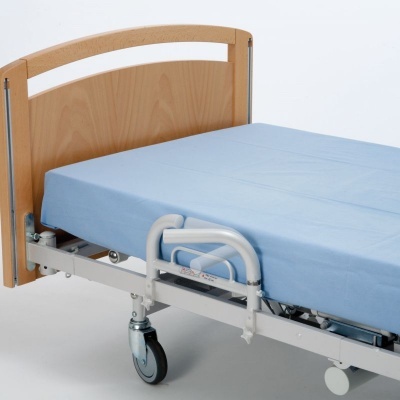 This allows carers to access all areas of the bed without obstruction, while providing sturdy support to the patient when it's needed.